Driving under the influence (DUI) or driving while intoxicated (DWI) are both severe crimes in the state of Tennessee. The penalties can be harsh, including fines, loss of your driver’s license, or even possibly jail time. The penalties could become even worse depending on if any minors were involved, whether they were driving or even merely present. Although the outlook may be bleak, however, you shouldn’t give up and resign to whatever your prosecutors decide for you. A DUI defense attorney would stand by your side and fight for your freedom, despite the strength of the opposition. 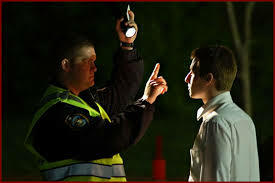 DUI attorneys are experts at handling cases dealing with DUI charges. A DUI attorney would know the ins and outs of laws concerning DUI charges, meaning they would be able to find any loopholes that might assist you in your case, possibly even having some charges dropped altogether. The law requires that the prosecutors can prove beyond reasonable doubt that you were the operator of the vehicle, leaving room for your attorney to mount a powerful defense in your favor. If you or a loved one have been arrested for a DUI offense, take the initiative and call for a free consultation with a Clarksville DUI attorney today. At Turner Law Offices, P.C., your case will be in the hands of a skilled professional intent on protecting your rights and your liberty. The charges standing against you may be intimidating, but it’s not over until it’s over. You deserve your freedom, take the first step to securing it. Request Free Initial Consultation Online or call our office today to schedule your free initial in person consultation with one of our experienced DUI lawyers.